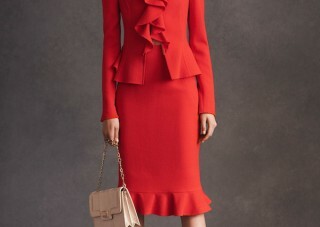 This red skirt suit by Oscar de la Renta (resort 2016) is simply stunning. 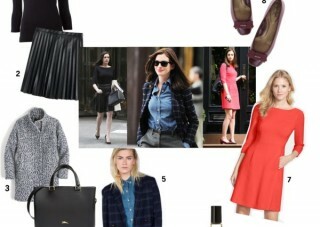 Anne Hathaway’s workwear as seen from the film The Intern is polished while wearable. 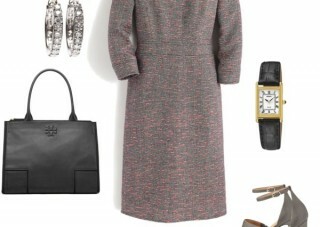 There is nothing quite like a sleek suit that says ~ she means business! It’s a classic yet modern look that is perfectly sharp for the office. For a pretty yet polished office attire this season, consider ~ summery hues, floral prints and feminine accessories!